Legendary rocker Alice Cooper joined JOHN 5 AND THE CREATURES — comprised of world-renowned guitarist John 5, bassist Ian Ross and drummer Logan Miles Nix — on stage on February 26 at Club Red in Mesa, Arizona to perform the JIMI HENDRIX EXPERIENCE classic "Foxy Lady". "If it wasn't for this man, there would be no KISS," John 5 introduced his special guest, who has lived in Phoenix since he was in his early teens. "There would be no Marilyn Manson, there would be no Rob Zombie, there would be nothing without this man. This man is the master, he is the king. Let's give it up for your very own, Mr. Alice Cooper!" Fan-filmed video footage of Cooper's appearance can be seen below (courtesy of YouTube user "Jason Forst"). 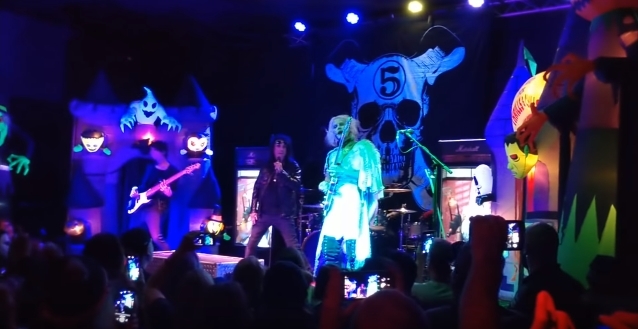 JOHN 5 AND THE CREATURES kicked off their North American "Invasion" tour in Mesa. Select dates of the trek — specifically Hollywood, California; Anaheim, California; and Sacramento, California — are scheduled to feature more very special, high-caliber mystery guests. It has already been announced that the Hollywood, California show will feature special guests Corey Taylor (SLIPKNOT, STONE SOUR), Shavo Odadjian (SYSTEM OF A DOWN), Fred Coury (composer, CINDERELLA) and Michael Anthony (CHICKENFOOT, ex-VAN HALEN). The entire tour features support from blues-rock guitarist Jared James Nichols and rock outfit DEAD GIRLS ACADEMY. JOHN 5 AND THE CREATURES' new album, "Invasion", will be released this summer. 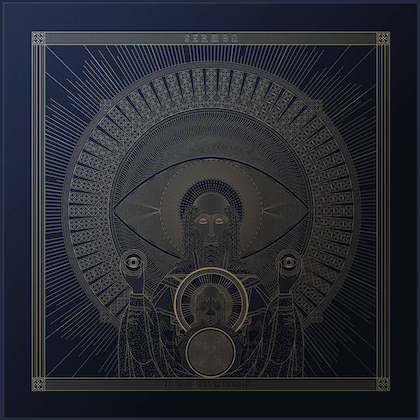 Just like 2017's "Season Of The Witch", the new disc — produced and mixed by Barry Pointer — is being made available via a series of music videos.